A complete denture (also called a full denture) is a dental prosthetic that is used to replace all of the teeth on one jaw. 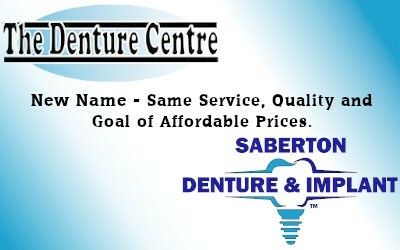 If all teeth are missing in the mouth, then two complete dentures are prescribed (upper and lower). +What happens to a partial denture when the remaining teeth are extracted? Typically, if one or two teeth are pulled, we can add new denture teeth to a partial, depending on the situation in the mouth. However, if all the remaining teeth are extracted on the jaw that has a partial denture, it’s usually advised that a new complete denture is made. +What materials are used to construct complete dentures? 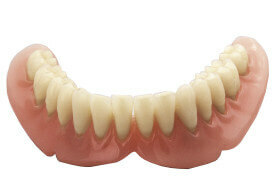 Complete dentures are typically made from denture acrylic. On rare occasions, metal palate or metal strengtheners are inserted into the denture, however almost all complete dentures are made out of denture acrylic. 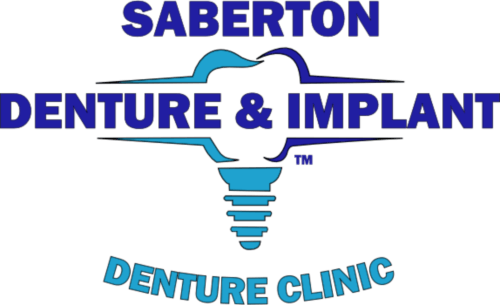 Complete dentures, especially the lower complete denture, may also have permanent soft liners placed inside them. This liner doesn’t help the fit of the denture, but does provide a softer material for those that have lost a lot of bone to support the denture. The liner acts as a bumper, softening the impact of any denture movement. +How do complete upper dentures fit? The complete upper denture sits on the palate and uses the saliva to create a suction seal around the hard palate tissue. Most denture wearers are able to wear complete upper dentures without needing any additional adhesive. +How do complete lower dentures fit? 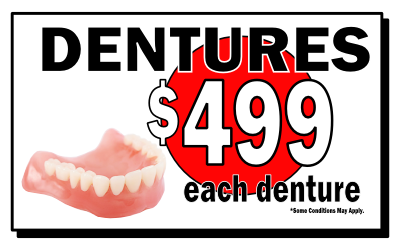 One of the toughest treatments in all of dentistry is the complete lower denture. Once teeth are pulled from the lower jaw, the bone that supports the complete lower denture shrinks away at a fairly quick pace and the muscles surrounding the bone like the cheeks and tongue prevent the denture from getting the suction fit like a complete upper denture. What is the best treatment option if I need complete lower dentures? There are many advertised techniques that promise suction fit dentures, or wings that seat below the tongue to help the complete lower denture stay in place. However, the ideal treatment for complete lower dentures is to have the denture anchored by at least two dental implants.